“It was just one boy, one rock, and one choice that changed his life. It all began in a little village in . . .” Storytelling grabs our attention! When someone says, “Let me tell you a story,” we want to listen. What happened to the little boy, how could one rock change his life? Storytelling also teaches values, touches our emotions, and brings people together. Let Me Tell You A Story will inspire and challenge you to discover and develop your potential to not just tell a story, but to perform it. 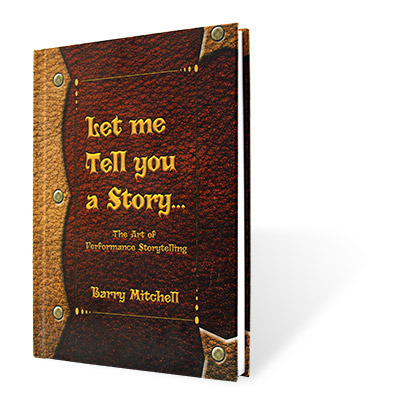 You’ll read Barry’s best stories and poems and learn how to write your own. This book is for everyone from grandparents to professional speakers. Open the cover and let me tell you a story.